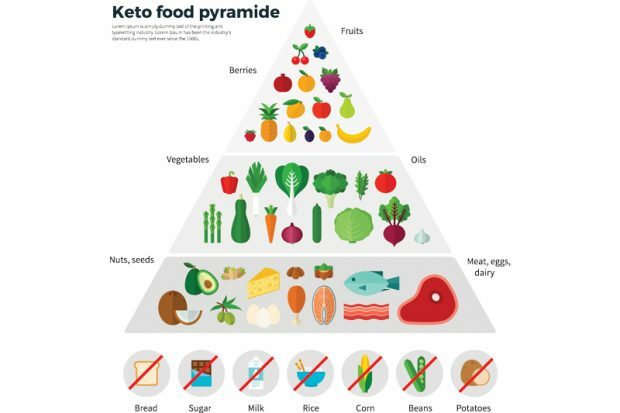 Traditionally used to treat epilepsy, the keto diet is now a popular weight-loss method, following the low-carb craze popularized by the Atkins diet. Unlike Atkins, which doesn’t limit calories and touted an “all-you-can-eat” protein philosophy, the keto diet fixes a ratio of 70-75 percent of calories from fat, 15-20 percent from protein and 5-10 percent from carbs. “Keto diet advocates claim this regimen will rapidly increase fat loss, help promote weight loss and prevent disease,” Brown-Brandel says. “Studies of patients on a ketogenic diet do show rapid weight loss,” says Brown-Brandel, “however, these results diminish over time and give the keto diet little advantage over the traditional approach to weight loss: reducing fat and calories.” The keto diet also restricts nutritious foods, like whole grains and milk, and encourages an overload of saturated fats, such as bacon and butter. If ketone levels rise too high, the risks of this diet increase, which can include dehydration and changes in your body’s chemical balance.